My purchase of this particular soda was a long time coming. I first read about it's continued existence about six or seven years ago. Until that point in history, I had always thought Moxie was a long discontinued brand of soda that was swallowed whole by Coca-Cola or Pepsi's march to supermarket/advertising dominance. Much like Coca-Cola, Moxie was developed in the late 19th century as an elixir with medicinal purposes, and later modified to be a carbonated drink when those imbibements started becoming popular across the nation. It is also speculated that Moxie may have contained cocaine at one point(much like it's contemporary Coca-Cola), but there's no concrete proof behind this-just the hold-over suggestion to "drink for vim and vigor!". Anyways, down to my thoughts on the bottle. The packaging is very simplistic and has a very nostalgiac feel to it- the simple orangey red field with a classic looking font(as it should, it's been nearly unchanged for the last century), and a kind, fatherly gentleman pointing at you from above the logo. Pointing as if to say, "Hey champ, cheer up! It's ok if you blew the game, pop'll still love you if you drink this here beverage." It is really all quite endearing. Looking at the bottle calls up memories of my grandfather(who is still with me) and how I envisioned him as a young man, taking a lunch break from building Jeeps for the Allies, walking into the company cafeteria and telling the handsome girl working behind the counter that he wanted a Moxie. So, not only does it look like your grandfather's soda, it tastes like it as well. That's not a bad thing, but it's flavor is unmistakably something that would have sold as a medicine. However, it's complex, bittersweet flavor is perfect as a soda. I would never have placed the flavor had I not bought a candy stick boasting a flavor I never recalled having before-horehound. Moxie is quite clearly a horehound flavored soda, and it works surprisingly well. Horehound has a rich history as an aid to coughs and colds-it contains a natural expectorant that helps with bronchitis and helps alleviate some asthma symptoms*, I don't know if the soda retains any of these healing properties, but it sure is delicious. I wish I had bought more bottles, as I was very sad when it was all gone. I also wish it was more widely available, and will have to soon go in search of it locally, as the shop I purchased it at was in Seaside, Or-at least a six hour drive. I may just love this enough to drive all that way for it, but I'm also positive it's probably available in Seattle. As a closing sentiment, I will also relate that at one point in it's history, Moxie was on top. It outsold Coke for quite a few years, and only faltered when they stopped dedicating funds to their advertising campaign. It's clean, minimalistic(something I love), and very old-fashioned(not much has changed since the days when Moxie was king). Easily fits in the "iconic" category. It tastes amazing. I can see that it would be an acquired taste though, as it is a complex bitter but sweet. One who doesn't care for bitter might not like this soda at all, but I would definitely recommend they at least try it. 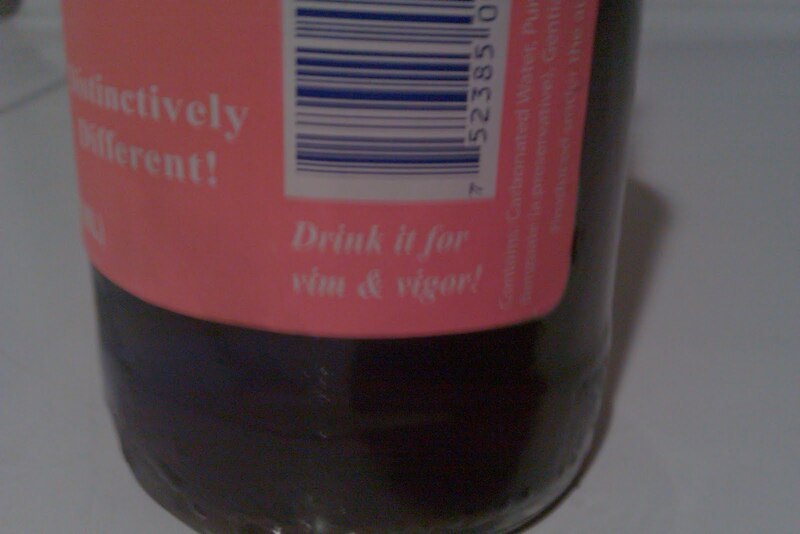 It is not a cola, so don't expect one and you won't be too disappointed. At first the medicine-like smell was a little off-putting, but it resolved in a slight hint of anise and maybe a touch of vanilla-not much though. One of the best sodas I have ever had, hands down. It would have gotten a perfect score on flavor had it not been for the whole "acquired taste" thing. Many people will hate this soda, but those who like it will probably love it. I see there being little middle ground. *Disclaimer. i am not a medical professional. consult a real physician if you're afflicted with either of these or any other condition. It's an interesting one, I'll give it that. A taste like no other I'm familiar with. If I hadn't had a horehound candy mere days before drinking Moxie, I would have never placed the flavor-probably would have called "cough droppy" or "herbal remedy". Check out their website-they will ship orders anywhere. You must request prices as they are not listed on the site. 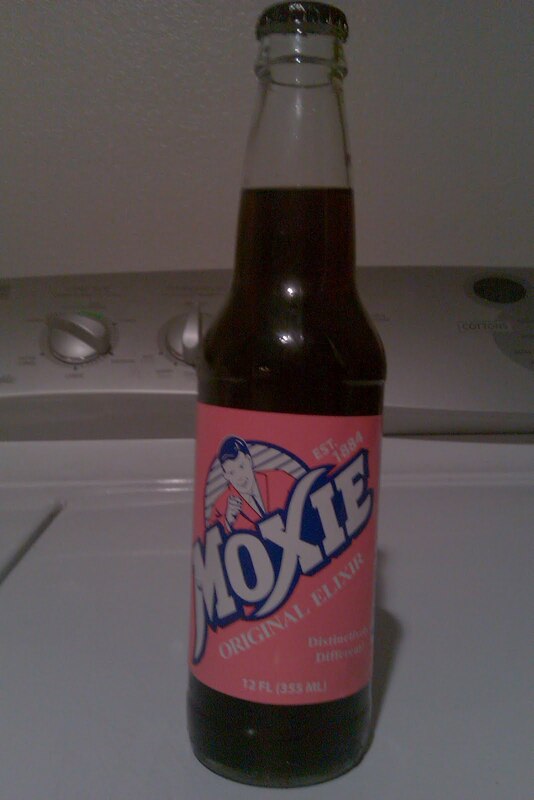 They have been bottling moxie since about 1945.